For the last 40 years, “Sanger sequencing” allowed to unveil crucial secrets of life. However, this method of sequencing has been time-consuming, laborious and remains expensive even today. Human Genome Project was a huge impulse to improve sequencing technologies, and unprecedented financial and human effort prompted the development of cheaper high-throughput technologies and strategies called next-generation sequencing (NGS) or whole genome sequencing (WGS). Researchers from the National Medicines Institute, Poland discuss applications of high-throughput methods to study bacteria in a much broader context than simply their genomes. The major goal of next-generation sequencing for a microbiologist is not really resolving another circular genomic sequence. NGS started its infancy from basic structural and functional genomics, to mature into the molecular taxonomy, phylogenetic and advanced comparative genomics. Today, the use of NGS expended capabilities of diagnostic microbiology and epidemiology. The use of RNA sequencing techniques allows studying in detail the complex regulatory processes in the bacterial cells. Finally, NGS is a key technique to study the organization of the bacterial life-from complex communities to single cells. 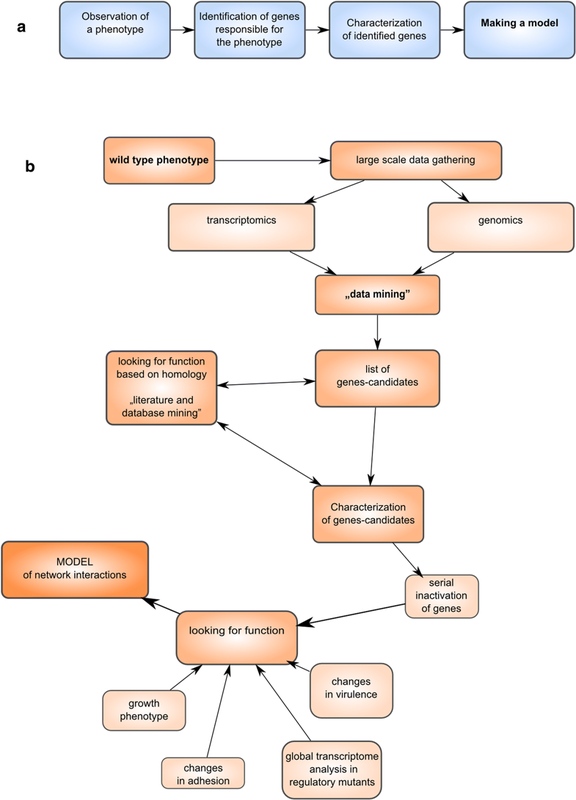 The major challenge in understanding genomic and transcriptomic data lies today in combining it with other sources of global data such as proteome and metabolome, which hopefully will lead to the reconstruction of regulatory networks within bacterial cells that allow communicating with the environment (signalome and interactome) and virtual cell reconstruction.